Menus for Festival 2017 have just been revealed, detailing the delicious seasonal options available at our three acclaimed restaurants, as well as picnics and afternoon teas, all created by Glyndebourne’s official caterers, Leith’s. Executive Chef Julian Wilson is looking forward to introducing exciting new dishes alongside perennial favourites, using some of the fantastic seasonal produce which can be found locally, such as Sussex beef and Kentish strawberries. 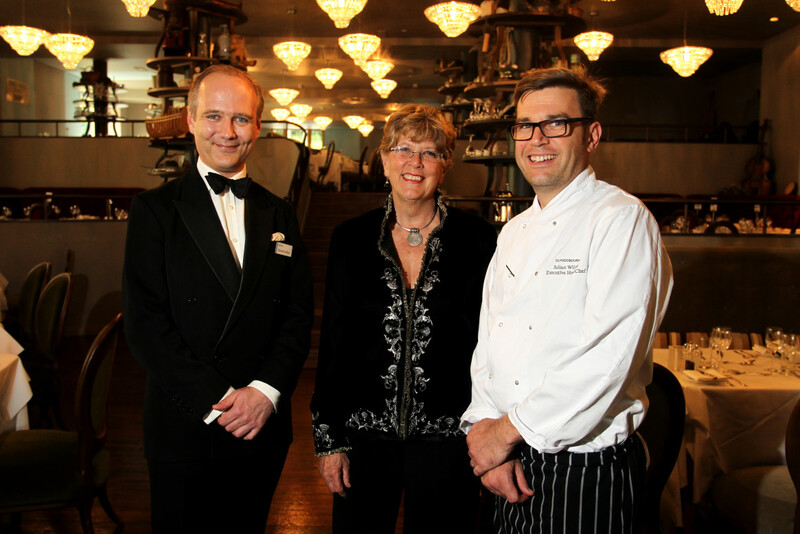 ‘My team and I enjoy spending time creating the menus for each Glyndebourne Festival – discussing which dishes we absolutely must keep on, as well as introducing new flavours. This is as true in 2017 as it was in 1983 when Leith’s first catered at Glyndebourne. 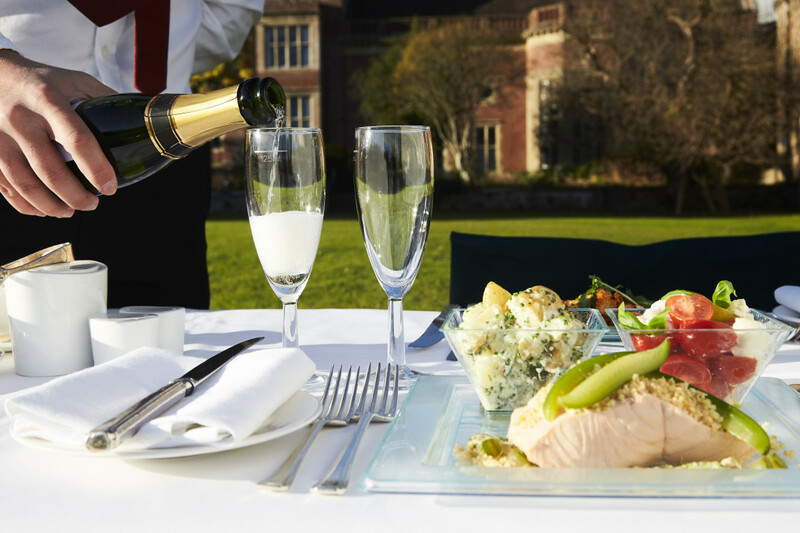 Seasonal local ingredients are a culinary constant at Glyndebourne – we are spoilt for choice in Sussex from asparagus to strawberries, from mackerel to High Weald Dairy feta. 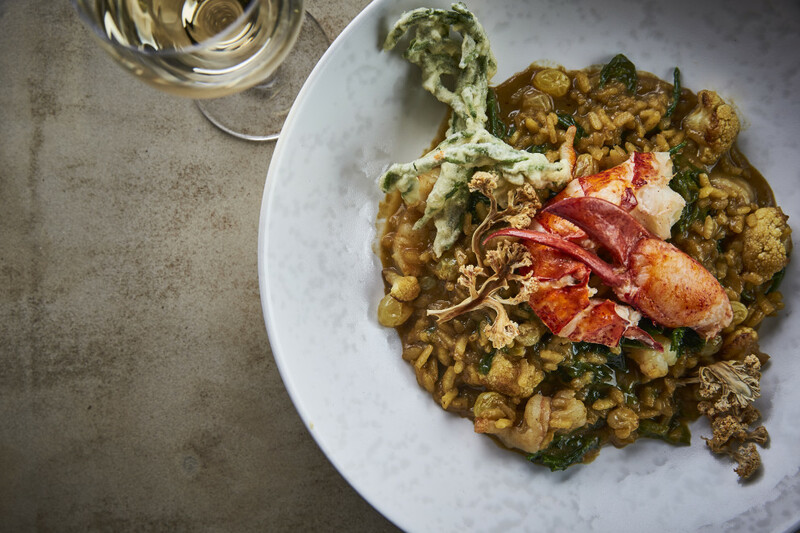 One of this year’s new creations – a lightly-curried risotto, with lobster and king prawns. This year we’ll be reviving old favourites like Beef Wellington as well as adding new creations such as a delicious, lightly curried risotto sweetened with golden raisins, folded together with sautéed king prawns, sweet native lobster and seasonal wild garlic. Amongst the desserts will be our new popcorn panna cotta. All these dishes will be found in our Middle and Over Wallop restaurant, the culinary centre-stage of Glyndebourne, with menus priced at £67 for three courses. 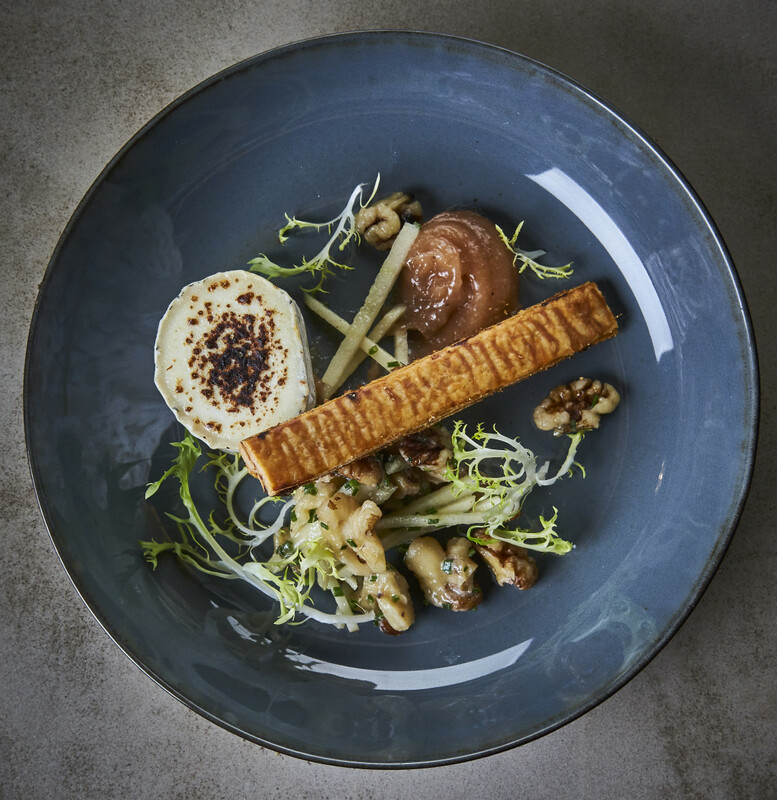 Over at Mildmay, look out for a tempting starter of caramelised local Sussex Golden Cross goat’s cheese, served with a crisp, buttery puff pastry straw with a cheesy smoked tomato filling, a classic Waldorf salad and finished with an unusual sweet and garlicy quince aioli. A delicious goat’s cheese salad, on the menu at Mildmay. 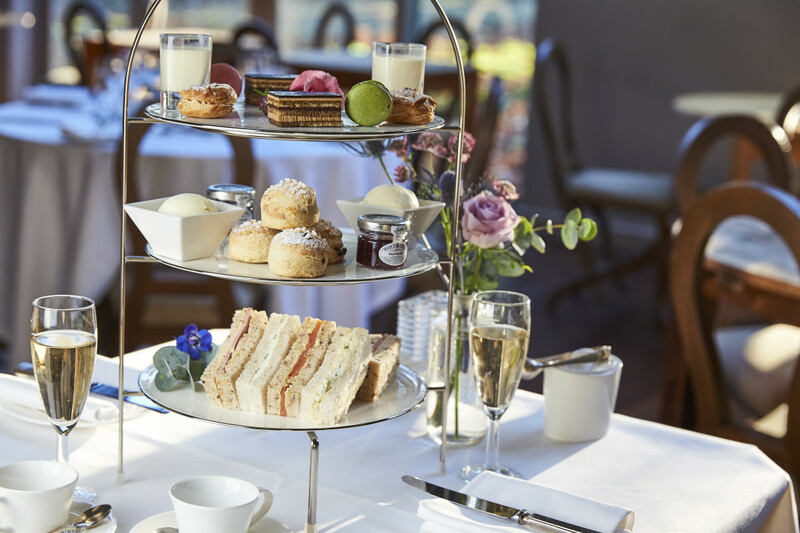 Our traditional Ha Ha Afternoon Tea includes a selection of fine finger sandwiches, plain and fruit scones lightly sweetened, served with thick and creamy Devonshire clotted cream and a selection of English conserves, a sweet offering of traditional chocolate layered gateau and a crisp but slightly gooey pistachio macaroon. The traditional Ha Ha Afternoon Tea. And don’t forget our famous picnics, £53.50 for three courses and coffee – there’s also the option to include a half bottle of Champagne, and the services of a picnic porter to help set up, and clear away the meal at £75.00 per person. One of Leith’s famous picnics. What makes Glyndebourne Festival so special?